Aquarium filters are the life support system for your aquarium. They help you control chemicals, gases, heavy metals, and debris that are harmful to your aquatic friends. Good filtration is key to the enjoyment of your tropical fish aquarium. Aquarium filters keep your tropical fish aquarium water clean and safe for your friends. Remeber the Nitrogen Cycle? If you haven't already checked out that page, take a little time and do it now. 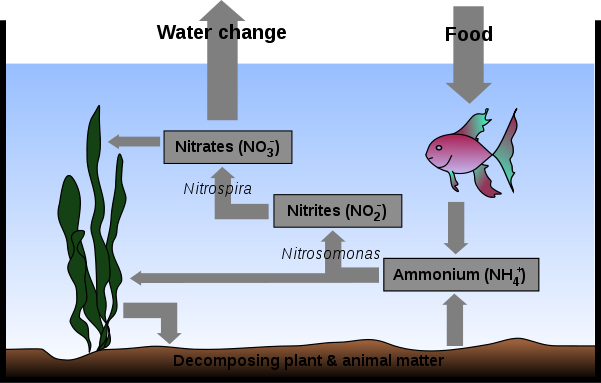 The Nitrogen Cycle is the whole reason a tropical fish aquarium requires a good filter. Without at least one good filtration system attatched to your tank, your little friends will most likely die in just a few days. To put this issue in the correct light, think of their fish tank as a space capsule and the filtration as the life support system. Without it, they would smother on their own carbon dioxide and waste. How horrible would it be to smother in a sewer tank? Do your little buddies a favor and make sure their life support system is the best one you can afford. Below, we will figure out how to do just that. How Does The Filtration System Work? If the fish tank is a space capsule, then the life support system must be really complicated. Not at all. There are excellent quality filters on the market that are made out of tough and bulky plastic parts suitable for cleaning in your kitchen sink. Your little friends are lucky because their space capsule is more of a rowboat than it is a space shuttle. Here is the how the water moves through the system and what each part does. Inflow. 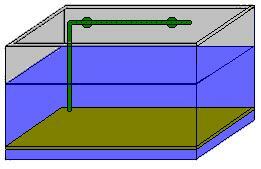 The water is sucked into the filtration system throught the inflow tube. Your rate of inflow should be 4 to 10 times the size of your fish tank per hour. This information is usually on the aquarium filter's box labeling. Mechanical Filtration. 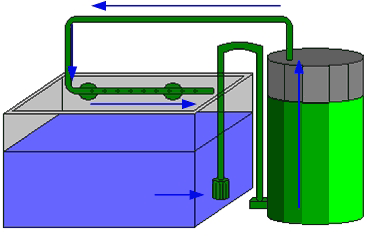 As the water moves out of the inflow tube, it passes through the mechanical filter. This term seems to indicate something complex, but if you you have used a strainer for spagetti then you have used mechanical filtration. In an aquarium filter, it is exactly that simple most of the time. We will discuss media types for this filtration process later. Chemical Filtration. Again, a complex sounding term with a simple action. Water passes over carbon pellets that act like a sponge. The carbon takes harmful gases and heavy metals out the water so your little friends can breathe and be mercury free. Biological Filtration. Remeber the bacteria we talked about on the Nitrogen Cycle page? This is where most of them live. The biological filter creates a lot of real estate for those handy little germs. We will cover how to care for this part of your filter when we talk about aquarium maintenance. Outflow. This is exactly what the name says. The water leaves the system and goes back into the fish tank. It is more important than you think though. When the filtered water hits the surface of the water that is still in the tank, fresh oxygen is taken in with it. If this did not happen, your fish would be in carbon dioxide rich water and they would suffocate. You heard me right, fish can drown. So that was not nearly as complicated as you thought. And you know why it is so important that each of these steps occur because you went to the Nitrogen Cycle page. There should be no mystery about aquarium filtration now. On to the different types of aquarium filters! There Are So Many, What Do I Need? I bet you ran out on the interwebs just now and found a bluezillion filters of all different types. It seems that every company has some new miracle filter out there to magically keep your water crystal clear. One thing to keep in mind is that a filter is only as good as its media. What's media? Media are the actual filters inside the water pump system. 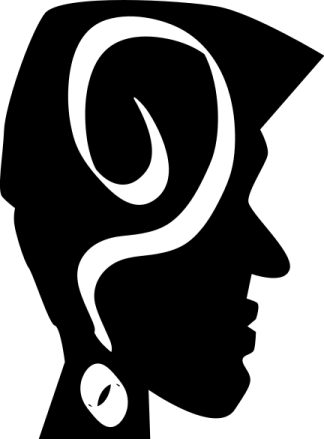 There are a whole lot of different kinds and knowing what is right can be confusing. Let's focus on the filter types for now. Things are not as complicated as they look. There are three filter types you need to know about and then you are off to the races. The box or "over-the-back" filter is what comes in most superstore aquarium kits. They range in quality from doorstop to gold bar. You should find one that includes all three filtration types (mechanical, chemical, and biological). The best box filters have removable cartridges containing mechanical and chemical filter media. Usually this is a nylon mesh or bag that contains carbon pellets. Good box filters also have an empty plastic cartrige that you can put a media type of your choice into. The biggest advantage of this type of aquarium filter is that they are fairly easy to clean. There should also be an area for biological media. This can be a chamber with bacteria beds or mesh. It can also be a "bio-wheel" that looks like a fluted cylindar mounted sideways over the outflow area. 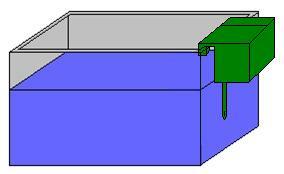 Some box filters have two water boxes, basically giving you two box filters connected to a single inflow tube. I have one like this that I love. It has two bio-wheels and is about the biggest box filter I could find on the market. My preference with this type of aquarium filter is to get the largest, quality filter that I can mount on the back of my tank without splashing water ,coming from the outflow, over the front glass. I feel that, as with fish tanks, size matters with this type of aquarium filter. The under gravel filter is a plastic grid that sits under the substrate (rocks) of your aquarium. 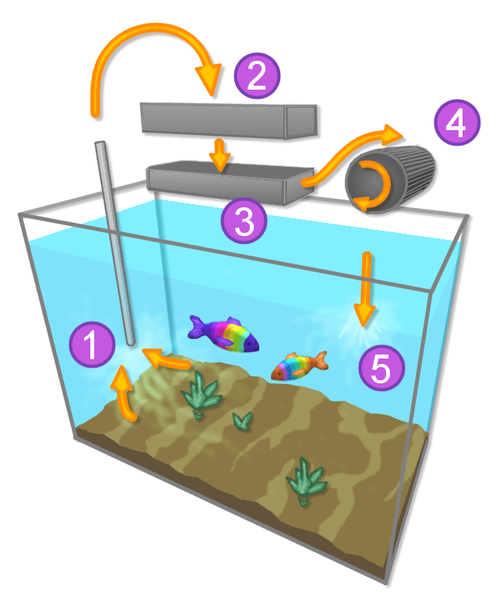 It uses an underwater pump (powerhead) or an air pump to pull water through your substrate and across a biological filter bed. The under gravel filter is primarily a biological filter and can be very effective in that capacity. The biggest drawback to this system is that if it gets clogged up, you have to dig up the grid under all your aquarium substrate, decor, plants, and little buddies. You also have to vacuum the gravel more than normal because the substrate will act as a mechanical filter. If you don't have a problem with vacuuming out your gravel every four or five days, then this is a great aquarium filter system once it develops a solid colony of hungry bacteria. I don't have an aquarium filter like this right now, but my favorite fish store uses only this type of filter system. They have wonderful looking tanks and have been using this filter system for over a decade. They keep their tanks looking so great by doing a lot of gravel vacuuming. It seems that every time I am there looking for new aquatic friends, someone is doing tank maintenance. The canister filter is an extremely effective type of aquarium filter. It cycles water through hoses to a plastic tank that is external to your aquarium. You can hide this canister under your aquarium inside the stand. Canister filters are so effective because of the large amount of media that you can place inside of them. They usually contain all three media types and move a considerable amount of water. Most canister filters on the market are very high quality as the system requires the canister to seal so that water doesn't spray all over the place. The biggest problem with this type of aquarium filter is that changing the media requires you to take the system apart. I have a small one of these hanging on one of my aquariums in and over the back configuration. It is a very effective and compact little filter system, but I have to take it apart once a month to change the media. You don't have to limit yourself to just one type of aquarium filter system on your fish tank. All of my aquariums have at least two types of filter systems hooked up to them. I have found that multiple systems give me a higher quality of water and healthier aquatic friends. Your next consideration should now be cost. As a rule of thumb, a quality box filter is the cheapest way to go, followed by the under gravel filter. Canister filters are a little more expensive. Don't let the cost push you into something that is less than what you need though. You get what you pay for when it comes to filters. Research different aquarium filters on our affiliate partner's site to get an idea of what will fit your budget. If you are curious and want some more detail about the nuts and bolts inner workings of various filter systems, check out the Wikipedia Aquarium Filters page.